THE LIFE AND TIMES OF THE "ORIGINAL GHOST HUNTER"
If there was a single person to come out of the "golden age" of Spiritualism, and the investigations that surrounded the movement, with the most influence on the field of paranormal investigation as we know it today, that person was Harry Price. Although disliked and distrusted by many, there is no denying that he was one of the most influential figures in the formative years of ghost research. He was a highly charismatic personality whose energy and enthusiasm for the paranormal made him the first “celebrity ghost hunter”. Price was instrumental in bringing ghost research to the general public, realizing that only by making the research entertaining could he attract the attention of the masses. Because of this, after his death in 1948, jealous “colleagues” would attack not only Price’s research, but also the man himself, staining his reputation for years to come. Price was regarded as an embarrassment during his time and lingering effects from this still linger today. Despite more recent work supporting his claims and methods, many British researchers still regard Price as something of an enigma. Because of his flamboyant manner and continuous self-promotion, Price made a number of enemies within the psychical research field. Much of the resentment revolved around that fact that Price had no real scientific training but was still so skillful at what he did. Price was a deft magician and an expert at detecting fraud, so he was not taken in by many of the fraudulent mediums that plagued paranormal research of the time. His success was a slap in the face to what many considered the “established” psychical researchers. Regardless, his work is considered groundbreaking for many today and his investigations at the house known as Borley Rectory became some of the first documented attempts to track down the ghosts of a single haunted location. I have never made it a secret that I have a great admiration for Harry Price and his work and continue to defy those who disregard him to show another investigator who has so shaped the methods that we continue to use today. If you are not familiar with his work, you should be and this section will reveal just how influential he remains. It was during the golden age of Spiritualism that Price first emerged as an investigator of psychical activity. During this era, researchers were working in a volatile climate that was charged with accusations of fraud against many of the mediums -- as well as some of the investigators. Price began to make a name for himself in the waning days of the Spiritualist movement ---- and began to make many enemies as well. His first psychical investigation took place when he was only 15 and still in school. He and a young friend obtained permission to spend the night in an old manor house that was rumored to be haunted. They experienced disembodied footsteps in the house and attempted to photograph the ghost, which failed when Price loaded far too much flash powder into his camera. The incident made for an amusing anecdote that Price often re-told later in life. However, it did guarantee his future interest in ghosts and strange phenomenon. After graduating from school, Price worked at a number of jobs, including as a journalist. Then, in 1908, he met and married a wealthy heiress named Constance Mary Knight. He then settled down to become what all of us wishes we could be, an independently wealthy ghost hunter. By the time that Price joined the Society for Psychical Research in 1920, he had already begun his career as Britain’s most famous ghost investigator. He had spent many hours at alleged haunted houses and in the investigation of Spiritualist mediums. He was also an expert magician and soon made a name for himself within the SPR for using his magic skills to debunk fraudulent psychics, then in keeping with what was the main thrust of the current SPR investigations. One of Price’s first efforts exposed the work of spirit photographer William Hope (described in detail earlier in the book), who was making a fortune taking portraits of people that always seemed to include the sitter’s dead relatives. Price was sent to investigate and soon published his findings. He claimed that Hope used pre-exposed plates in his camera, which he learned by secretly switching the plates the photographer was using with plates of his own. It was only chance that led Price into another aspect of his career. One afternoon, while taking the train from London to his country home near Pulborough, Price met a young woman named Stella Cranshaw. The two happened to strike up a conversation about psychic anomalies, during which Stella, who was a hospital nurse, told the investigator that she had been experiencing strange phenomena for years. She said that rapping noises, cold chills and household objects inexplicably taking flight had been bothering her for some time. Price, excited at the prospect of a new test subject, told her that he was a psychic investigator and asked if she would submit to being tested as a medium. Stella agreed and a series of séances were scheduled at the London Spiritualist Alliance. Stella was given a modest payment for her time since she was required to take off work in the afternoons to come to the sittings. The first séance brought some surprises, namely that Stella, who had never considered herself a medium, had a spirit control who came through to the sitters. The spirit guide, “Palma”, communicated by rapping and would follow requests made to it, like moving a heavy oak table in various directions around the room. At the same séance, thermometers recorded rapid temperature drops. These swift changes would become a staple of Stella’s séances. Price brought a number of devices into the séance room in an effort to study the phenomena scientifically. One of the regular sitters built a special double table with the inner portion of it being a wire cage where items that were to be manipulated could be placed. The first time that it was used, several musical instruments were placed inside and a rattle was somehow thrown out of the closed cage. Price, being an amateur inventor, designed new equipment of his own to test the young woman’s abilities. One of them was the “telekinetoscope”, a clever device that used a telegraph key that when depressed would cause a red light to turn on. A glass dome then covered the key so that only psychic powers could operate it. During the séances, the red light occasionally turned on. During the sittings, always conducted in front of witnesses, Stella managed to produce all sorts of strange, physical phenomena. During one séance, for example, she managed to levitate a table so high that the sitters had to rise out of their chairs to keep their hands upon it. Suddenly, three of the table legs broke away and the table itself folded and collapsed. Needless to say, this ended the sitting. The first series of séances ran for 11 sittings and was finally stopped by Stella, who was exhausted by the weekly trials. She often grew very tired during the séances, her pulse would race and the sudden drops in temperature caused her to shake uncontrollably. She saw a doctor about her exhaustion and he recommended that she rest. Her exhaustion and her frequent absences from work caused her to lose her job at the hospital where she was employed. Price also suffered because of the séances with Stella. He had a background in conjuring and had only recently entered into psychical research. His fellow magicians criticized him for taking Stella’s phenomena seriously. In addition, he was criticized from the other side of his research as well. The SPR was uncomfortable with Price’s affiliation with the London Spiritualist Alliance, feeling that it was too closely aligned with the Spiritualist community, even though an SPR officer had attended Stella’s sittings. They convinced Price that any further séances should be held at the SPR headquarters. It was with some difficulty that Price was able to convince Stella to continue the experiments. She had found a secretarial job with a manufacturing company and was reluctant to jeopardize her new employment. Finally, she agreed to two more séances in late 1923. After this, she immediately ended her association with him. Their relationship, which had been warm, now turned chilly, for reasons that are not altogether clear. Stella publicly pleaded fatigue but different reasons are suggested in a letter that she wrote to him in 1926. By this time, whatever had occurred was forgotten and Stella began working with Price again after an absence of three years. In her letter, she apologized and stated that she had “badly misjudged” him in 1923. The 1926 sittings were held at Price’s National Laboratory for Psychical Research, which was then newly established at the London Spiritualist Alliance. Stella’s phenomena was similar to what it had been, although weaker than it been a few years before. She offered 14 séances before bringing things to an end in August. She returned to work with Price again in 1927, so that he could study the anomalous temperature drops and participated in a series of 9 final sittings with him in 1928, shortly before she was married. Stella married Leslie Deacon in August 1928 and she brought her short career as a medium to an end. She never worked professionally and all of her sittings were conducted with Harry Price. What became of her later in life is unknown but she is believed to have lived into her 60’s, spending the remainder of her life in London. In the end, Stella’s career as a medium turned out to be short-lived but the careful research earned her great respect in psychical circles. Harry Price’s handling of the investigation earned him prestige and respectability, as well. After the end of the sessions with Stella, Price began searching for further mediums to investigate. He traveled to Munich for a series of sittings with Willi Schneider at the laboratory of Baron Albert von Schreck-Notzing, a flamboyant investigator. Price was so impressed with what he saw during the séances, that he invited Willi to his own laboratories in 1929. He was also impressed with the publicity-seeking methods of von Schreck-Notzing too and decided to emulate him in his own career. Soon, Price began testing additional mediums and set about trying to measure some aspects of the séances in a scientific manner. He managed to record strange temperature drops and other phenomena that finally convinced him of the reality of the paranormal. From this point on, he devoted more of his time to pursuing genuine phenomena rather than debunking mediums, which did not sit well with the SPR. The relationship between Price and the society had always been strained so Price formed the National Laboratory for Psychical Research in 1923. It would take three additional years for the laboratory to get up and running and would be located in the London Spiritualist Alliance. This was the final straw for the SPR and in 1927, they returned Price’s donation of a massive book collection. To make matters worse, after Price’s death, it would be three members of the SPR who would attempt to discredit him. Most of the members of the SPR treated Price with something verging on contempt. In those days, the main officers of the society were made up of the British upper class and most were related to one another by marriage. Price was most definitely not of their class and breeding, as his father was salesman for a paper manufacturer, and this in itself seemed to make his research suspect in many of their eyes. He was simply, in the words of one of the members of the society’s governing council, “not a gentleman.” He was also looked down upon for the fact that he was not as well educated as other members and had no formal scientific training. He remained a member of the organization until his death in 1948 but he was not always a welcomed one. In 1926, Price came across the case of a Romanian peasant girl named Eleonora Zugan, who was apparently experiencing violent poltergeist phenomena, including flying objects, slapping, biting and pinching. The girl had been rescued from an insane asylum by a psychic investigator that Price had met in Vienna. Price returned to London, with the girl, and began a series of laboratory tests that were only partially successful. Testimony and reports from the testing claimed that “stigmata” appeared on the girl’s body under conditions that precluded the possibility of the girl producing them by natural means. It was also stated that she was able to move objects with her mind, although no cause could be discovered for her abilities outside of the fact that she had been severely abused as a young child. Eleonora’s abilities ceased abruptly at the age of 14 when she entered puberty. In 1929, Rudi Schneider, whose abilities were said to surpass those of his brother, traveled to England to be tested by Price. The investigator was still adding new scientific technology to his array of gadgets and one device wired the hands and feet of Rudi, and everyone else seated around the séance table, to a display board. A light would signal if anyone moved enough to break the electrical circuit. Price was a showman and publicity-seeker, doing numerous newspaper interviews and live radio broadcasts from haunted places. But no matter what some might see as attention-seeking, he brought publicity to ghost research in a way that had never been done before -- opening the paranormal to the general public for the first time. In the spring of 1932, Price began testing Rudi again. In these sessions, he planned to photograph Rudi’s manifestations as further evidence of his psychic abilities. Although Price obtained some favorable results, the sittings were not as successful as before for Rudi’s talents seemed to have diminished. In the fall, Lord Charles Hope conducted more tests of the young man and while he too noticed a decline in his abilities, still maintained that his powers were genuine. And then, even as Hope was preparing his report, Price rocked the paranormal community with the announcement that Rudi was a fraud. As evidence, he produced a photograph that was taken during a séance and which showed Rudi reaching for a table. The grainy image managed to destroy Rudi’s reputation and embarrass the investigators who had declared him to be genuine, including Harry Price. Those who claimed that Price was simply a publicity-seeking fraud were hard-pressed to explain why he would have damaged his own reputation in this way. By the time of Rudi Schneider’s downfall, the appearance of credible new mediums had all but ceased. Soon, Price had turned his attention from investigating mediums and psychics to investigating haunted houses and bizarre phenomena. But not all of Price’s cases (or publicity-seeking antics, as some would call them) were as successful. One trip took him to Germany where he went to test a spell that would convert a mountain goat into a man. Needless to say, the spell failed and Price was the subject of much ridicule. Another of Price’s strangest (although possibly genuine) cases was that of Gef, the Talking Mongoose of Cashen’s Gap, and yes, if you are not familiar with the case, you did read that right -- a talking animal! The case began in 1931 with a disembodied voice claiming to be that of a mongoose, a weasel-like creature. It began at an isolated place on the Isle of Man and according to the Irving family, who lived at Cashen’s Gap, this creature ate rabbits, spoke in various languages, imitated other animals and even recited nursery rhymes. Price personally investigated the case in the company of R.S. Lambert, then editor of a popular radio show called The Listener, but the animal refused to manifest until after they had left. The case may have been related to poltergeist phenomena, as Voirey Irving, the 13-year old daughter in the family, was closely associated with the manifestations of the talking mongoose. Price failed to detect any evidence of fraud. Lambert, who investigated other supernatural cases with Price, almost lost his job over the Cashen’s Gap affair. The publicity around the case caught the attention of his employers at the BBC and one of his supervisors concluded that Lambert’s interest in the supernatural reflected poorly on the broadcaster’s competence. Lambert sued him for defamation of character and kept his job. The Cashen’s Gap case was also investigated by Nandor Fodor, a pioneer in the field of poltergeist phenomenon related to human subjects, who interviewed a number of witnesses to the phenomena, many of them hostile to the haunting, but couldn’t shake any of the testimony to say that it was not real. Fodor did not accept the explanation of a poltergeist and half-seriously suggested that it might have actually been a mongoose that learned to talk. Many years later, after the affair had died down, a strange and unidentified animal was killed in the area. Some suggested that it might have been Gef. During this period, Price also made some serious contributions, although they were not as widely publicized. In 1933, he persuaded the University of London to open a library and set up a University Council for Psychical Investigation. The library still exists today at the university and consists mainly of Price’s enormous occult collection. The year 1929 marked a turning point in Price’s career, although the case would not be made public for several years yet. In was in that year that he became involved in a case which would take over his life and for which he would become most famous. The case involved a deteriorating Essex house called Borley Rectory. It would be during Price’s investigations of Borley Rectory that he would become the best known and most accomplished of the early ghost hunters, setting the standard for those who would follow. He carefully documented both his findings and methods and established a blueprint for paranormal investigations. Many of Price’s accounts from Borley would be first-hand, as he claimed to see and hear much of the reported phenomena like hearing bells ring, rapping noises and seeing objects that has been moved from one place to another. In addition, he also collected accounts from scores of witnesses and previous tenants of the house, even talking to neighbors and local people who had their own experiences with the rectory. Price even leased the house for an extended one-year investigation that was supposed to run around the clock. He ran an advertisement looking for open-minded researchers to literally “camp out” at the rectory and record any phenomena that took place in their presence. After choosing more than 40 people, he then printed the first-ever handbook on how to conduct a paranormal investigation. A copy was given to each investigator and it explained what to do when investigating the house, along with what equipment they would need. Price turned the Borley investigations into two books entitled The Most Haunted House in England (1940) and The End of Borley Rectory (1946). Both books became very popular and entrenched Price solidly as the organizer of well-run paranormal investigations. Despite what his detractors would claim, the books would set the standard for future investigations and would mark the first time that detailed accounts of paranormal research had been exposed to the general public. While his critics saw this only as further grand-standing, future investigators were able to use the books when researching their own cases. 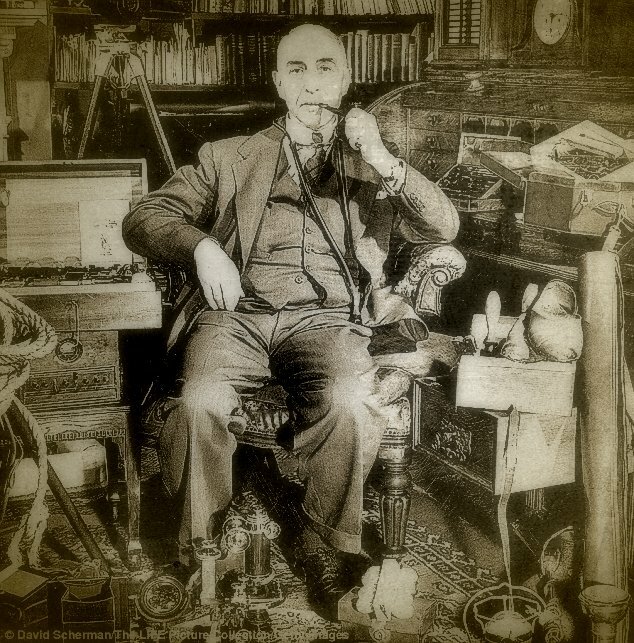 Regardless of what some may think of his methods and research, Harry Price must be remembered today as a pioneer in paranormal research. He is the one person who so many of modern researchers (even unknowingly) emulate today with their investigations. Price managed to give ghost research a place in the public eye and opened it up to those who don’t fit into the categories of professional scientists, hardheaded skeptics, nor fall into the realm of gullible “true believer”. If for no other reason that this, we owe him a debt of gratitude. One of the most famous haunted houses cases of all time, and unquestionably the most famous case in the career of Harry Price, was that of Borley Rectory, a deteriorating house in Essex. The last 10 years or more of Price’s life were dominated by the long, complex and rewarding investigation of this house and its hauntings. None of his earlier cases had ever involved so many people, aroused so much interest or caused him so many problems. His two books that were written on the case became bestsellers and captured the imagination of the public. At the time of his death, he was in the final preparations for a third book on Borley Rectory and event today, interest in the story has never ceased. There have been critics and attention-seekers that have maintained that the whole thing was a hoax, a publicity stunt that was created by Price. One journalist accused him (after his death, of course) of deliberately lying about the phenomenon and producing some of the activity with a “pocketful of pebbles and bricks”. On the other hand, there are those who were actually present when the strange activity occurred who could assure the doubters that the house was truly as haunted as Price claimed. The tiny parish of Borley is located in a desolate, sparsely populated area near the east coast of England, near the Suffolk border. It is a lonely place and would be largely forgotten if not for the fact that it is the location of what came to be known as “The Most Haunted House in England”. Harry Price would begin the chronicle of Borley in 1362, when Edward III bestowed the Manor of Borley upon the Benedictine monks, but as much of this history is shrouded in mystery, we will state with more certainty that the manor was in the possession of the powerful Waldegrave family for 300 years. Between 1862 and 1892, the Reverend H.D.E. Bull, a relative of the Waldegraves, was the Rectory of Borley. A year after his appointment, he built Borley Rectory. Despite local warnings, he had built the house on a site believed by locals to be haunted. His son, the Rev. H.F. Bull, who remained until his death in 1927, succeeded him as the rector. After that, the rectory was vacant for over a year until October 1928, when the Rev. Guy Eric Smith was appointed to the role. However, he quit the rectory just one year after moving in, plagued by both the ghosts and the house’s deteriorating state. There had been strange happenings in and around the rectory for many years before the residency of the Rev. Smith but all concerned had kept them quiet. In 1886, a Mrs. E. Byford quit her position as a nanny at the rectory because of “ghostly footsteps”. More than 14 years later, two daughters of Henry Bull first spotted what would become the famous “phantom nun” on the rectory’s front lawn. The sighting occurred in the middle of the afternoon and would coincide with other strange happenings that were reported by the family, including phantom rappings, unexplained footsteps and more. The young women were repeatedly unnerved by these events but Reverend Bull seemed to regard them as splendid entertainment. He and his son, Harry, even constructed a summer house on the property where they could enjoy after-dinner cigars and watch for the appearance of the phantom nun as she walked nearby. The members of the Bull family were not the only ones to see the ghostly nun on the grounds or outside the gates of the rectory. Fred Cartwright, a local carpenter, saw her four times in two weeks, according to his account to Price. Up until 1939, 14 people were reported to have seen the nun, three people had seen a phantom coach and horses with “glittering harness” sweep across the grounds and two others had seen the apparition of a headless man. In June 1929, two years after the death of Harry Bull and nine months after Rev. Smith came to the rectory, the story of ghostly occurrences in Borley was mentioned in the newspaper. The next day, Harry Price received a telephone call from a London editor and was asked to investigate. He was told about various types of phenomena that had been reported there, like phantom footsteps; strange lights; ghostly whispers; a headless man; a girl in white; the sounds of a phantom coach outside; the apparition of the home’s builder, Henry Bull; and of course, the spirit of the nun. This spectral figure was said to drift through the garden with her head bent in sorrow. Local legend had it that a monastery had once been located on the site and that a 13th century monk and a beautiful young novice were killed while trying to elope from the place. The monk was hanged and his would-be bride was bricked up alive within the walls of her convent. Price scoffed at the idea of such a romantic tale but was intrigued by the phenomena associated with the house. Price was accompanied on his first visit to Borley by V.C. Wall, a well-known journalist, and Miss Lucie Kaye, his experienced secretary. Together, they listened to the experiences of Rev. Smith and even observed some minor examples of poltergeist phenomenon for themselves. Price also conducted a long interview with Miss Mary Pearson, the rectory’s maid, who had seen the ghostly coach and horses twice and was firmly convinced the house was genuinely haunted. Later that night, the group held a séance in the “Blue Room” of the house, where much of the manifestations had allegedly occurred, and they were purported to make contact with Harry Bull. Whether they did or not, they were startled when a piece of soap jumped up off the floor with no assistance. The following day, Price held more interviews and spoke with Rev. Bull’s daughters and the Coopers, a man and wife who had lived in a cottage on the rectory grounds. They had moved out in 1920, blaming uncomfortable feelings caused by the ghosts. The events that occurred, and the witness interviews that were documented, were enough to convince Price that something strange was going on at the house. That June day would begin more than 18 years of intensive and overwhelming paranormal investigation. It would be during his investigations of Borley Rectory that he would become the best known and most accomplished of the early ghost hunters, setting the standard for those who would follow. Price coined the idea of the “ghost hunter’s kit”; used tape measurers to check the thickness of walls and to search for hidden chambers; perfected the use of still cameras for indoor and outdoor photography; brought in a remote-control motion picture camera; put to use a finger-printing kit; and even used portable telephones for contact between investigators. He was quite impressed by the house and believed that it represented one of the most exciting and fascinating puzzles of his career. His second visit to Borley came two weeks after the first. This time, he documented the appearance of a religious medal and some other items that seemed to show there was a Catholic element to the haunting. There was also a number of times when bells rang throughout the house, although the bell wires (once used to summon the servants) had been cut many years before. The constant ringing was a source of great worry for Rev. Smith and his wife and this, along with other manifestations, convinced the couple to abandon the house on July 14, 1929. Over the course of the next 14 months, the rectory remained empty and yet the happenings reportedly continued. According to local accounts, a window on the house was opened from the inside, even though the rectory was deserted and the doors were securely locked. The main staircase was found covered with lumps of stone and small pieces of glass were said to have been scattered about. Locals who lived nearby reported seeing “lights” in the house and hearing what were described as “horrible sounds” around the time of the full moon. Even though Rev. Smith and his wife moved out of the house because of the ghosts, things had really been rather peaceful up until that point. All of that would change though in October 1930, when the Reverend Lionel Foyster and his wife, Marianne, replaced Smith. The Foysters time in the house would see a marked increase in the paranormal activity. People were locked out of rooms, household items vanished, windows were broken, furniture was moved, odd sounds were heard and much more. However, the worst of the incidents seemed to involve Mrs. Foyster, as she was thrown from her bed at night, slapped by invisible hands, forced to dodge heavy objects which flew at her day and night, and was once almost suffocated with a mattress. The activity during this period was more varied and far more violent than ever before. Rev. Foyster kept a diary and later compiled a manuscript that was never published called “Fifteen Months in a Haunted House”. Harry Price would later use large excerpts from the manuscript in his books on Borley. There is no question that Rev. Foyster, Marianne, his adopted daughter and later, a young boy who stayed with them as a guest, went through some strange and sometimes terrifying experiences. Things took another inexplicable turn when there began to appear a series of scrawled messages on the walls of the house, written by an unknown hand. They seemed to be pleading with Mrs. Foyster, using phrases like “Marianne, please help get” and “Marianne light mass prayers”. It had gotten so bad that by May 1931, the Foysters left the rectory so that they could get a few days of peace and quiet. In June, Dom Richard Whitehouse, a friend of the Foysters, began an investigation. He found that things had been scattered all over the unoccupied house and when the family returned, the violent phenomenon began again. At one point, Mrs. Foyster was hurled from her bed three times. In September of that same year, Harry Price learned of these new and more violent manifestations. A short time later, he and some of his friends paid a visit to the rectory and had some weird experiences, including mysterious locking and unlocking doors and bottles that were tossed about. Because nearly all of the poltergeist-like activity occurred when Mrs. Foyster was present, Price was inclined to attribute it to her unknowing manipulations. He also considered the idea that some of it might be trickery. However, he did believe in the possibility of the ghostly nun and some of the other reported phenomenon. The rectory did not fit into pre-conceived notions of a haunted house, which was one of the reasons that it would go on to gain such a reputation. Despite the implications of the phenomena centering around Marianne, Price maintained that at least one of the spirits in the house had found the rector’s wife to be sympathetic to its plight. This was the only explanation he could find for the mysterious messages. He believed the writings had come from another young woman, one who seemed to be from her references, a Catholic. These clues would later fit well into Price’s theory that the Borley mystery was a terrible tale of murder and betrayal, in which the central character was a young nun, although not the one of legend. A short time after Price’s visit, Mrs. Foyster, Dom Richard Whitehouse and the Foyster’s maid, Katie, were seated in the kitchen with all of the doors and windows closed, when bottles began to appear, seemingly from nowhere, only to shatter on the floor. At the same time, the bells in the house suddenly began ringing once again. The months that followed brought more ringing bells and door locking but after a séance was held, things quieted down considerably. The bells still rang occasionally and items flew about but there was what was described as a “different atmosphere” after the sittings. The remainder of 1934 was quiet but in 1935, the manifestations returned and became more violent. Things frequently vanished and were broken and by October of that year, the Foysters had reached the limits of their endurance. They decided to leave the house and the church decided to sell the place, as they now believed that it was unfit for any parson to live in. The church offered the house to Harry Price – for about one sixth of its value – but after some hesitation, he decided not to buy the place but to rent it for a year. Price planned to conduct an extended, around the clock investigation of the house, using scores of volunteer investigators to track and document anything out of the ordinary that occurred there. As it turned out, the investigation was never that organized. Even so, in spite of often poor record keeping and periods when the house was unoccupied, the year-long investigation remains a landmark in the annals of the paranormal. Price was deluged with potential applicants, most of whom were unsuitable. After choosing more than 40 people, he then printed the first-ever handbook on how to conduct a paranormal investigation. It became known as the “Blue Book”. A copy was given to each investigator and it explained what to do when investigating the house, along with what equipment they would need. During the investigations, the researchers were allowed wide latitude when it came to searching for facts. Some of them employed their own equipment, others kept precise journals and others turned to séances, which would prove interesting over the period of 1935 to 1939. The greatest aid to Price in the investigations was Mr. S. H. Glanville. He and his family took a special interest in Borley and spent many, many hours there. It was Glanville who compiled with great zeal the famous “Locked Box”, which contained a detailed record of the Borley story from its beginning to the night of the fire in 1939. Some of the material was eventually published in Price’s books and Glanville remained completely in charge of the investigations when Price was not present. The observers that Price recruited came from all different professions, outlooks and interests but all of them contributed to the pile of data that began to accumulate. Many of them spent nights in the empty rectory, where one room had been set up to serve as a “base” and where various instruments had been installed. Some of them came alone and others came in groups, skeptics, believers and debunkers alike. A good many of them neither saw nor heard anything but quite a few of them had strange experiences. These experiences were wildly varied from sounds to moving objects, weird lights and even full-blown apparitions. Very few of them were witnessed by one person alone and the majority of them saw the nun. The corps of observers established beyond doubt that Borley Rectory was the center of some large paranormal disturbances. The number of the disturbances, their variety and the length of their observations also supply an answer to any accusations that Harry Price staged the phenomenon for publicity or other purposes. Price did not witness the vast majority of the observations, accounts and reports. Instead, they came from independent observers who often had no idea that others were experiencing the same events at other times. There were two important developments during Price’s tenancy of the house. One was the observation of the “wall writings”. These frantic cries for help were often heard to decipher and had first started to appear during the Foyster’s occupancy of the rectory. Most of them were addressed to “Marianne” and some non-believers suggested that Mrs. Foyster herself had written them, although none could provide a motive for such a pointless hoax. Strangely, the scrawls continued to appear on the walls long after Mrs. Foyster had left the Rectory and Price believed that they provided vital clues to the mystery behind the haunting. The observers who noted the new messages marked and dated all of them so that there would be no mistake as to which were old and which had appeared later on. The other important development of 1937 – 1938 was the series of séances that was held by Mr. Glanville, his family and several friends. During a sitting with a planchette (a device used for automatic writing), an alleged spirit named “Marie Lairre” related that she had been a nun in France but had left her convent to marry Henry Waldegrave, a member of a wealthy family whose manor home once stood on the site of Borley Rectory. While living at the manor, her husband had strangled her and had buried her remains in the cellar. In March of 1938, five months after Marie’s first appearance, another spirit, which called itself “Sunex Amures”, promised that the rectory would burn down that night and that the proof of the nun’s murder would be found in the ruins. Borley Rectory did not burn that night, but exactly 11 months later, on February 27, 1939, a new owner, Captain W.H. Gregson was unpacking books in the library when an oil lamp overturned and started a fire. The blaze quickly spread and the rectory was gutted. It was said that the fire started at the exact same point that the spirit had predicted and that “strange figures were seen walking in the flames.”The building itself was finally demolished in 1944 but the story was far from over. The publication of Price’s first book on Borley, The Most Haunted House in England, brought Price a deluge of letters. The wall-writings, the planchette messages and the various reports from the observers led to arguments, new theories and new facts. Price was able to point out the parallels and similarities in a dozen other hauntings. The rectory was now in ruins but this did not keep the interested away. Throughout the years of World War II, visitors often explored the rubble and occasionally spent the night in the eerie remains of the building. In 1941, H.F. Russell, a businessman, paid a visit to the Borley grounds with two of his Royal Air Force officer sons. While there, he claimed that he was seized by an invisible presence and dashed to the ground. Two years later, some Polish officers spent the night in the ruins and claimed to see and hear a number of chilling sounds and sights. In particular, they saw a shadow on the Nun’s Walk and a man’s figure in one of the rooms. The Polish officers also rebuilt the floor in the Blue Room and erected chairs and a table where séances could continue to be held. Rev. W.J. Phythian-Adams, Canon of Carlisle, conducted some of the most fascinating, and ultimately relevant, investigations at the rectory. After reading Price’s book, studying plans of the house and photographs of the wall writings and doing a detailed analysis of Borley’s history, Canon Phythian-Adams prepared a detailed and convincing account of events leading up to the haunting. He used the data connected to the Waldegrave family, as well as statements from a medium that Price had contacted to try and use psychometric powers on an apport that had been found by an observer in the Borley sewing room, to create his report. He combined all of the pieces of the Borley story into a tangible story. He collated the wall writings with the séance messages and extracted the symbolic and literal meanings of the information that had been gathered. There had been many other attempts at interpreting the messages, especially the wall writings, and all had concentrated on the desperate attempts the nun had made to try and get the living to do something for her. But no one else tried to what Canon Phythian-Adams had achieved – creating a consecutive narrative that sounded convincing. There would be those who would say that his story (recounted earlier in the story of “Marie Lairre”) was nothing more than clever guesswork but Canon Phythian-Adams told Harry Price to dig for the nun’s remains and he told him exactly where to dig. In August 1943, in the company of Rev. A.C. Henning; Dr. Eric H. Bailey, Senior Assistant Pathologist of the Ashford County Hospital; Roland F. Bailey, his brother; Flying Officer A. A. Creamer; Captain W.H. Gregson and his two nieces, Georgina Dawson and Mrs. Alex English, Price began his excavations in the cellars of the ruined rectory. On the exact spot where Canon Phythian-Adams indicated (having never visited the site), they found a large antique brass preserving pan, a silver cream jug and a jawbone with five teeth on it. Dr. Bailey declared it to be a left mandible, probably from a woman. They also found part of a skull. The next day, they also found two religious medals, one of which was made of poor quality gold. Price took the bone fragments from Borley to the studios of A. C. Cooper, Ltd., well-known art photographers, who would then document the finds. At the studio, another strange act in the Borley haunting was played out. While setting up the skull to have it photographed, it slipped from four hands and broke into four pieces. Moments later, an expensive oil painting fell off its easel with no explanation and crashed to the floor. A clock that had not worked in more than ten years suddenly started back up again, functioning for just 20 minutes before stopping again, this time for good. Five months later, the Cooper studios were destroyed by an air raid. Coincidence? Perhaps, but based on all of the other strange happenings connected to Borley, it was worthy of mention. In May 1945, a Christian burial for the bones appeared to provide the ghost with the rest she had long sought and a service was later conducted by the Rev. Henning in the small village of Liston, less than two miles from the rectory. The nun was never seen at the house again but the weird events continued to occur. They were frequent enough that Price made plans for a third book about the site, although it was never completed. As his research progressed, Price lined up 50 new witnesses to more recent phenomena, including Rev. Henning, officials from the B.B.C., local residents and strangers. It seemed that after the ruins of Borley were demolished, the ghosts moved to Borley Church, where a great many manifestations began to occur in the vestry and throughout the building. Many reliable people heard the organ being played when the church doors were locked and no one could possibly enter. Rev. Henning, then rector of the church, was one of the witnesses and he contributed his accounts to Price for the third book. Perhaps this was just one of the reasons that the story of Borley Rectory has never really “died”. Its legacy remains today and it has gone done in history as one of the world’s most haunted houses.